Why did Saint Benedict Catholic Academy, Derby choose Future First? Saint Benedict Catholic Voluntary Academy is the only Catholic secondary school in the Derby area. We currently have around 1200 students and above average pupil premium numbers. Saint Benedict is a very diverse school where a great deal of languages are spoken. We decided to start working with Future First because we had contact details for a significant number of our alumni, but weren’t really utilising these connections. I also knew how much I enjoyed receiving communications from my former secondary school and wanted to give our school alumni the same opportunities to keep up to date with what is happening and get involved. Future First planned and delivered a World of Work Day at the school that focussed on increasing student knowledge of careers. 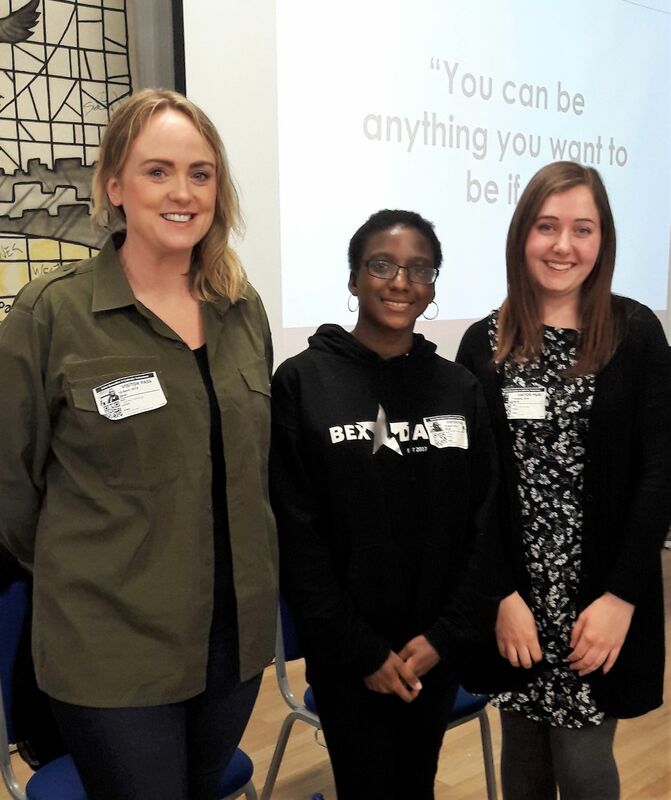 Six alumni came along, giving our current Year 9 students the opportunity to meet people from a variety of industries, from a self- employed dance teacher to a business development director and even a child clinical behaviourist. The day gave students the opportunity to speak to alumni who are all at different stages in their life, some who have been in established jobs for a considerable period of time, and others who are only just starting their journey. This meant our young people had their eyes opened to the variety of different options available to them when they leave school. As well as getting to speak to alumni, our Year 9 students also spent time learning about misconceptions associated with different pathways, and had the opportunity to consider their own skills and how they might be useful in their future career. One of our former students was even kind enough to stay behind after the session and deliver a dance workshop in a Year 10 PE lesson. I feel that the World of Work Day had a hugely positive impact on the Year 9 students who took part. They were interested in the workshops and senior leaders who were present commented on how impressed they were the interaction and engagement. There were lots of fantastic discussions going on and, based on pupil feedback, there seems to have been an increased sense of self belief amongst the students. I think that all of our pupils benefited from meeting the alumni and one pupil has gone the extra mile as a result of the workshop. This pupil was particularly inspired by one former student, Rachael Stevenson, who works in the events industry. After the workshop had finished she got in contact with our careers adviser and asked whether it would be possible to be mentored by Rachael. Rachael has now kindly agreed to do this and I am sure that the mentoring is going to be of great value.